Employers must communicate Switzerland job openings in occupations that have higher than average unemployment rates starting July 2018, according to a December 8, 2017 Federal Council decision. The Federal Council may issue a list of the occupations subject to mandatory communication of openings in early 2018. The Federal Council’s requirement for mandatory advertisements will start July 1, 2018 for positions that have 8% or higher unemployment, and then increase on January 1, 2020 for positions that have 5% or higher unemployment. What is the Switzerland job openings issue? An initiative called “Against Mass Immigration” was adopted by Switzerland on February 9, 2014. This initiative called for quota limits on immigration. However, the Swiss Parliament passed a compromise immigration law in 2016, hoping the country could continue to have its enhanced access to the European Union’s single market. The new law required employers to advertise job openings in occupations with higher than average unemployment at job centers and to prioritize local residents prior to recruiting from outside the country. Since the implementation of the “Against Mass Immigration” effort is coming to an end after four years, the new requirement aims to continue to give local job seekers priority in job openings in sectors with higher than average unemployment. Who does this requirement affect? Employers based in Switzerland planning to hire workers from outside the country. Under the new requirement, employers must advertise their job openings with the local job center and then wait five business days before advertising these openings through other venues. The local job center must forward applications from local job seekers who meet the requirements of the job opening within three business days. Companies must invite local candidates that meet the requirements of the job opening to an interview. They must also report the job openings they are able to fill through this channel to the job center. The temporary withholding of job opening information helps job seekers who are registered with the local job center to get priority access to the job advertisements. 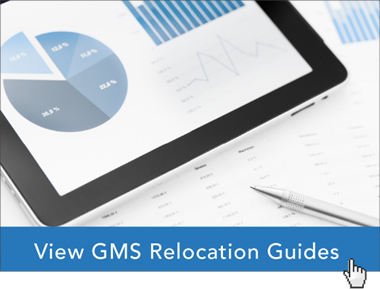 Global Mobility Solutions’ team of global relocation experts have helped thousands of our clients with country-specific employment requirements, and we can help your company understand how to comply with Switzerland’s new job opening and advertising rules. Contact our experts online or give us a call at 800.617.1904 or 480.922.0700 today.